Holy Holy is a musical project that brings together singer/songwriter Timothy Carroll from Brisbane and former Dukes Of Windsor guitarist/composer Oscar Dawson from Melbourne. They initially crossed paths as volunteer English teachers in Southeast Asia and reconnected in 2011 while both leading transient lives in Europe. The pair then returned to Australia to record with producer Matt Redlich (Emma Louise, Ball Park Music). 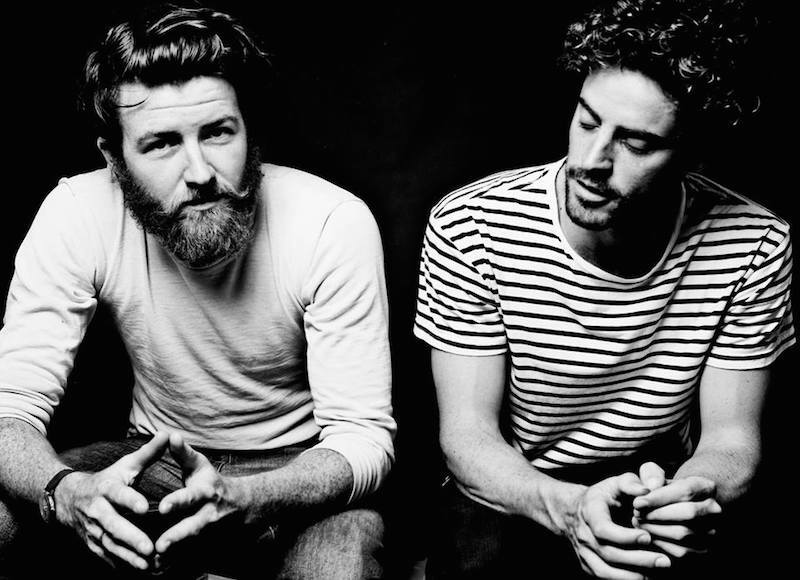 Their newest single “Sentimental & Monday” was premiered on 10th July and is taken off the album When The Storms Would Come – out in the EU on 29 Oct.
Holy Holy’s members bonded over Neil Young (and Crazy Horse), Bruce Springsteen, Pink Floyd and Dire Straits, as well as contemporary acts like Midlake, Band Of Horses and Grizzly Bear. And these myriad influences have fed into When The Storms Would Come. Though they cherish “old, classic songwriting”, that nostalgia is juxtaposed with a modern aesthetic. Dawson holds that Holy Holy’s sound has evolved into something that’s amplified – their sonorous, sublime melodies augmented by “stronger, more powerful guitars and bigger vocals” and rhythmically-dense drumming.